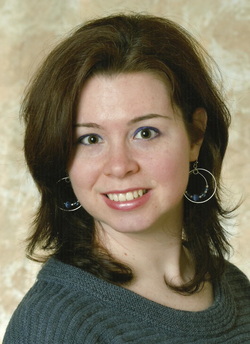 Former freelance journalist Megan Cashman is getting ready to publish her first book in September 2012. The Dark Proposal will be released as an E-book on Kindle. Megan has worked for cable news stations, both local and national, and has a master's degree in journalism under her belt. Born and raised on Staten Island, New York's forgotten borough, Megan always had a love of reading and writing. Her favorite authors are Jacqueline Carey, Anne Rice, Khaled Hosseini, and Sarah Dunant. She enjoys books that take her to a different world and/or see her world differently. She hopes to do the same for her future readers. As for other things, Megan likes to hit the beach in the summer, rollerblade, do yoga and cook. She loves to blast her iTunes with all her songs - current number: 3,957 and counting. Her favorite acts are U2, Enigma, Depeche Mode, Garbage, Sarah McLachlan and many more - she even likes Celtic and New Age music! Her favorite movie is The Lord of the Rings trilogy. She tunes in to watch Once Upon A Time, Girls, Game of Thrones and True Blood. If you had the perfect boyfriend who suddenly reveals he's a vampire, and also wants to make you one or else...what would you do? That is the dilemma college graduate Claire McCormick faces. Her life is brightened up by Daniel Bertrand in a whirlwind romance, who only to turns out to be a bloodthirsty vampire. He also won't take no for an answer when he proposes for Claire to join him for eternity. She faces becoming evil herself or have evil done to her and her loved ones. The Dark Proposal explores Claire's nightmare and fears while she makes her decision. Along the way, she learns why exactly Daniel wants her to be vampire. WARNING: contains graphic scenes and some strong language. Please copy/paste the page URL to your facebook wall.